Drawing from his doctoral research on Oscar Wilde’s reception of Classical antiquity, Iarla Manny is producing an audio guided walking tour of Oxford, based around Wilde’s time in the city as a Classics student at Magdalen College from 1874 to 1878. 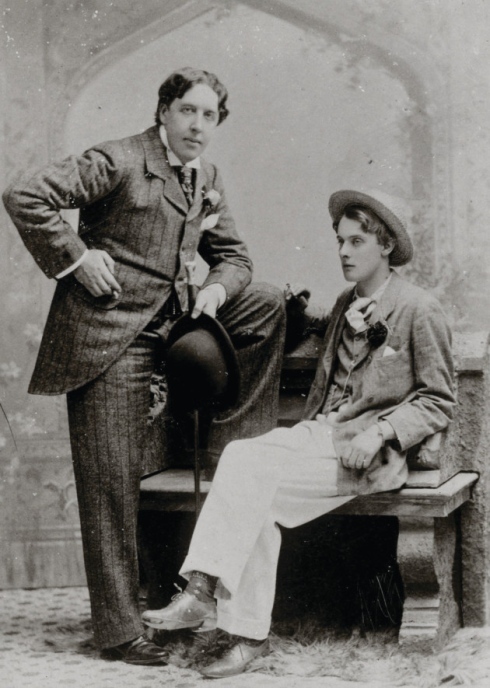 The audio tour is being produced for, and in collaboration with, Oscar Wilde Tours - a new tour company exploring gay history set up by the Classicist Andrew Lear, who specialises in ancient sexuality. The audio tour Iarla is developing, ‘Wilde in Oxford’, is designed for the London leg of the company’s signature Oscar Wilde’s Dublin, London, and Paris tour. Iarla’s project recently featured in the Oxford Arts Blog, and the following sample track from the demo recording of the tour was presented by Iarla at the Communicating Ancient Greece and Rome projects showcase event in December 2014. As well as producing the trial recording, Iarla researched and wrote the script. The sound technician on the recording was Gemma McKinnie, a DPhil researcher in Film at Linacre College, an award-winning filmmaker, and the founder of the production company Eye Contact Media. The voices were provided by: Jacob Mercer, a first-year Oriental Studies undergraduate focusing on Chinese at the Queen’s College; Alexander Wilson, a third-year English undergraduate at Oriel College; and Christopher White, a first-year Classics and English undergraduate at Magdalen College.